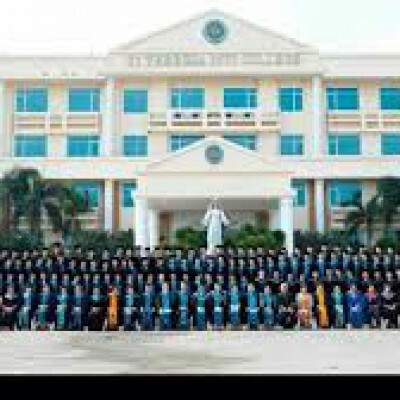 St Theresa International College is an English speaking university located in Ongkarak, Thailand. Offering a number of career-specific majors, STIC offers three majors for the field of aviation: B.Sc. in Aeronautics, B.Sc. in Air Traffic Control, and B.B.A in Airline Business. The B.Sc. in Aeronautics prepares students for careers in aircraft technician and airline personnel. Students may spend their final year of the program at our partner flying school, where they will obtain the necessary pilot training hours before taking the Commercial Pilot License test. STIC possesses one of the finest Air Traffic Control programs in Asia. Possessing an on-campus similutated air traffic control tower, students are trained by highly experienced personnel from the industry. Students majoring in Air Traffic Control will spend their final year performing internships in airports and aviation centers. St Theresa also offers a B.B.A. in Airline Business. While graduates may pursue careers in customs, cargo, or flight operations, most graduates of the program choose to become flight attendants. A simulated air cabin is located on campus where future flight attendants receive hands-on training. Moreover, as with all of our degrees, students undergo intensive English courses to ensure they will be ready for the global workforce. Be the first to review St Theresa International College!